The IU East Center for Leadership Development is hosting a Management Series workshop on Managing Conflict from 1-4 p.m. on Thursday, October 17, in the Whitewater Hall Community Room. Registration is available online at iue.edu/business/leadership. Each three-hour course in this series focuses on key concepts, theories, models, tools, and their applications for effective workplace management. These sessions offer local, affordable, in-depth development of critical management and leadership skills. It is estimated that as much as 40 percent of a manager’s time is spent dealing with conflict. Conflict is costly to organizations in other ways as well. For example, poorly managed conflict often increases turnover, with replacement costs between 75 percent and 150 percent of the annual salary for each position. This course offers techniques and approaches to enhance conflict management skills and lower the cost of conflict for individuals and organizations. Managing Conflict is an overview course that introduces methods to proactively and effectively manage the disagreements encountered in manager/leadership positions. It emphasizes proactive approaches and building long-term positive relationships. Participants will leave with a beginning set of practical strategies and tactics that can be immediately applied to the disagreements that arise in their daily work lives. • Explain the business and personal case for effective conflict management. • Identify the main factors in a situation that are contributing to the conflict. • Use the EDGE model to plan appropriate approaches for managing conflict. • Leverage self awareness of their preferred approaches to conflict toward improving relationships with others and achieving results. • Incorporate effective conflict management skills into their management practice. • Identify opportunities for personal development to support the business imperative for effective conflict management skills. The costs for the workshop is $75 per workshop, per person, or $50 a workshop for a group of at least three people from the same organization or business. Visit iue.edu/leadership for more information on content, special pricing and certificate options, and to register for these sessions. The workshop will be presented by Fredricka Joyner, associate professor and director of the IU East Center for Leadership Development and the Master’s in Management program. Joyner has over three decades of business experience, providing leadership, organization, and community development consulting services to a diverse client list that includes manufacturing and service organizations, professional practices, health and education coalitions, non-profits, government departments, and social service agencies. Over the past five years, Joyner has provided training and consulting services related to managing across the generations. She has also designed and delivered a four-day leadership development curriculum to almost 2000 managers in a global Fortune 500 company. Most recently, she has been providing intensive executive coaching to high potential managers who have been tasked with expanding into international markets. Joyner has been with Indiana University for the past 10 years. 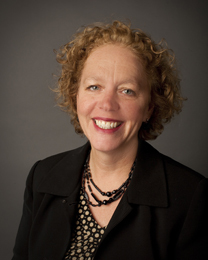 In addition to the center, Joyner directs the IU East Master’s in Management program. She has won a number of awards for her teaching and is an active researcher with numerous publications. She is the lead author of Engineering as a Social Activity: Preparing Engineers to Thrive in the Changing World of Work, which was recently published in the American Journal of Engineering Education – Spring 2012 edition. Joyner earned her Master’s in Organization Management from Antioch University and her Ph.D. in Community Formation from the Union Institute.